The Industrial Internet Consortium® (IIC) announces its first security assessment-focused testbed: the Security Claims Evaluation Testbed. IIC member organizations UL, Xilinx, Aicas and PrismTech are collaborating on the project to provide an open and easily configurable cybersecurity platform for evaluation of endpoint, gateway, and other networked components’ security capabilities. Data sources can include industrial, automotive, medical and other related endpoints requested for secure operation analysis. Client side Durability is now supported by both Vortex Lite and Vortex Café. This means that TRANSIENT and PERSISTENT Durability QoS policies can now be used by both Vortex Lite and Vortex Café applications provided that at least one Vortex OpenSplice™ Durability Service is deployed in the same system. Vortex Lite now includes support for extensible data models based on Google Protocol Buffers (GPB). GPB is a language-neutral, platform-neutral extensible mechanism for serializing structured data developed by Google. The benefit of using GPBs is that they are extensible and can be updated without breaking programs that are compiled against “older” data structure definitions. This ability enables systems and their data models to evolve dynamically without major application re-engineering. GPB support in Vortex Lite is currently available for the ISO C++ API. GPB support is already available in Vortex OpenSplice (Java, C and ISO C++) and will be available shortly in Vortex Café. It is now possible to detach from all domains. A new operation has been added to the DomainParticipantFactory in the DDS API that allows you to detach your application safely from all Domains it is participating in with one single call. The naming of DomainParticipant, Publisher, Subscriber, DataWriter and DataReader entities has been improved. When visualized with one of the Vortex tools (Insight, Tuner or Tester) the improved naming makes it easier for users to relate entities to their applications. A new section called “Controls” has been introduced to Vortex OpenSplice Launcher. This section contains buttons to easily start and stop an OpenSplice domain based on the active ospl config file in Launcher. When the user clicks on the start/stop button, a progress bar is displayed in the bottom tool bar to indicate that Launcher is processing the request. When Launcher has completed the operation, notification pop-up messages are displayed indicating the result of the requested operation. The acquisition of PrismTech by ADLINK Technology has generated considerable media interest which has largely acknowledged that this move is very positive, benefiting both companies and more importantly our existing and future customers. However, some recent comments by one of our competitors on the subject have in our opinion been very misleading and we feel that we must respond. The acquisition by ADLINK in no way undermines the security of supply for PrismTech’s products to our existing customers and markets. Both companies have a strong heritage, proven track record and culture of serving markets such as Military and Aerospace including the USA that require high-performance, high-quality products that can be used on the most sensitive projects. The fact that ADLINK is a Taiwanese owned company in no way affects this. In fact, security of supply for PrismTech customers is enhanced through the strength gained by being part of a much larger and fast growing company. PrismTech’s Vortex suite of Internet of Things (IoT) technologies is based on the Data Distribution Service for Real-Time Systems (DDS) open standard and this makes it very straightforward for customers not already using Vortex to migrate away from their existing DDS supplier and benefit from a much more stable vendor who is investing massively in new product development. This acquisition does not affect PrismTech’s commitment to the DDS standard, with our CTO Angelo Corsaro, Ph.D. remaining Co-Chair of the Object Management Group (OMG) DDS Special Interest Group (SIG). One of the immediate benefits of the acquisition will be a much stronger USA West Coast presence with a new office in California where many of our major customers are located. One of the key reasons that ADLINK acquired PrismTech is that there is a great synergy related to the markets that we serve, both companies for example have a strong heritage serving the international Military and Aerospace communities. Combining PrismTech’s software leadership and ADLINK’s hardware expertise and competitiveness will leverage the strengths of both companies to create new value-adding system-level solutions (hardware + software) for our target markets, including exciting new Industrial Internet of Things (IIoT) Markets such as industrial automation, smart energy, smart cities and healthcare. PrismTech will be run as an autonomous business unit of ADLINK ensuring that we can remain highly customer focused while leveraging the additional strengths and synergy of ADLINK. Any new combination products with ADLINK hardware will be additive to our product lines and not in any way change our fundamental policy of Vortex being hardware and vendor agnostic. PrismTech will continue to work in the same way with all hardware, RTOS and other technology vendors that offer complementary products to Vortex. In summary, the main changes existing customers will notice from this acquisition will be in acceleration in the development of new and exciting products. PrismTech has been a trusted suppler to numerous fortune 5000 companies for over twenty years, the acquisition by ADLINK will not change this. With the financial strength and support of ADLINK our customers can be confident that security of supply and long term investment in Vortex product development will be enhanced by the acquisition. Discover Vortex Insight: Situational Awareness + Operational Intelligence in real-time. Large scale systems of systems are exponentially increasing in complexity, as the Internet of Things grows and develops. Utilizing Vortex Insight can allow you and your project to be ahead of the curve when it comes to achieving true operational intelligence. Vortex Insight’s ability to Monitor, Detect, and Manage a Vortex system makes it an incredibly useful tool for drastically reducing overhead in system maintenance. By providing a runtime view of a system, along with a configurable dashboard, Vortex Insight enables a single easy-to-use source to quickly view the health of a system. Additionally, Vortex Insight can be configured to provide real-time alerts for abnormal resource usage to quickly detect system malfunctions. Finally, Vortex Insight enables QoS configuration on-the-fly to enable fine tuning of a live system without having to shut the entire system down for maintenance. Combined with the web-based thin client GUI and documented REST API, Vortex Insight can be utilized from almost any device with a browser – enabling truly portable & accessible system management. 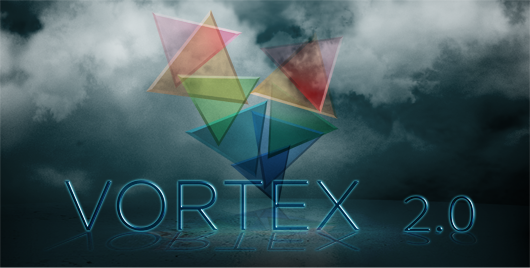 PrismTech is pleased to announce that Vortex 2.0, a major upgrade of its award winning Intelligent Data-Sharing Platform is now generally available for evaluation and purchase. The Vortex platform provides the most comprehensive Industrial IoT solution for integrating devices, real-time high performance edge-based Fog networks and Cloud systems. Vortex is ideally suited for mission-critical distributed and Industrial Internet of Things (IIoT) applications. It is based on the Data Distribution Service (DDS) for Real-time Systems open standard and builds on proven technologies to provide an efficient solution for Internet scale real-time data sharing. Vortex is a crucial enabler for systems that have to reliably and securely deliver high volumes of data with stringent end-to-end qualities-of-service (QoS); for IIoT systems Vortex delivers the right information to the right place at the right time.